You can now Install TWRP and Root OnePlus 3T easily. 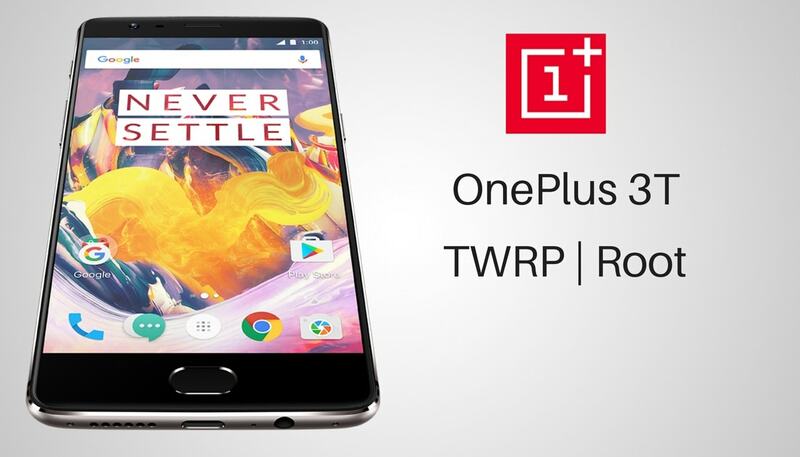 All you need is to unlock the bootloader of your Oneplus 3T, to begin with, after that you can get the root access on your Oneplus 3T with the help of TWRP Recovery. Gratefully, however, the organization is keeping to its guarantee with simple bootloader unlocking and a developer friendly device that you can root, install custom ROMs and you can play with several Mods from XDA members and other Android developers. You can install custom ROM or custom kernel to unlock more features in your device. You can install Xposed Framework to tweak your device. You can uninstall Pre-installed (System) Apps. You can backup and restore your data easily. You can install Mods developed by Android Communities. In this article, We will guide you how to TWRP and Root OnePlus 3T. Follow the below step by step guide. Follow the below Guide Exactly, or else it may lead to brick your device. TheDroidGuru.com is not responsible for any damage. First enable the USB debugging, and OEM unlock in developer options, to do that you have to enable ‘Developer Options’ by going to ‘About phone’ in settings and tapping build number seven times. Now go to Developer options in settings and Enable USB debugging and OEM unlock. Go to Adb folder (Usually ABD folder will be in C:\adb). Note: Make sure that you have installed ADB Drivers. Now connect your device to the PC using USB cable and execute the following command in the command prompt to boot your device into fastboot mode. Download TWRP zip file img file from above and save it in ADB folder. Now, paste the TWRP recovery file in the ADB folder and Rename the file to ‘TWRP.img’. Reboot your device into fastboot mode. When you are in the fastboot mode, Execute the command in the window to flash the TWRP file. Now, execute the following command to boot into recovery. TWRP custom recovery is installed successfully on your device and ready to use. Download the SuperSU zip file and save it in your device. After your device has booted into the recovery mode, choose the preferred language and click on ‘Never show this screen on boot again’ and then swipe to allow modification. In the main menu, Click on install and select the ‘SuperSu’ file and then reboot your device.